Romanticism was a movement that swept across the creative arts during the late eighteenth and early nineteenth centuries. Painters, composers, novelists, poets, in their quest to shed the strictures of the status quo and seek a freer form of expression, began to explore their own personal feelings, thinking about individual responses to life rather than unquestioning adherence to society’s expectations. There was a sense of raising self-awareness, using imagination to make new realities and a deep, almost mystical connection to nature. Romanticism was not about love and romance as such, but about elevating self-consciousness and providing subjective reactions to the world. Passion took precedence over intellect. 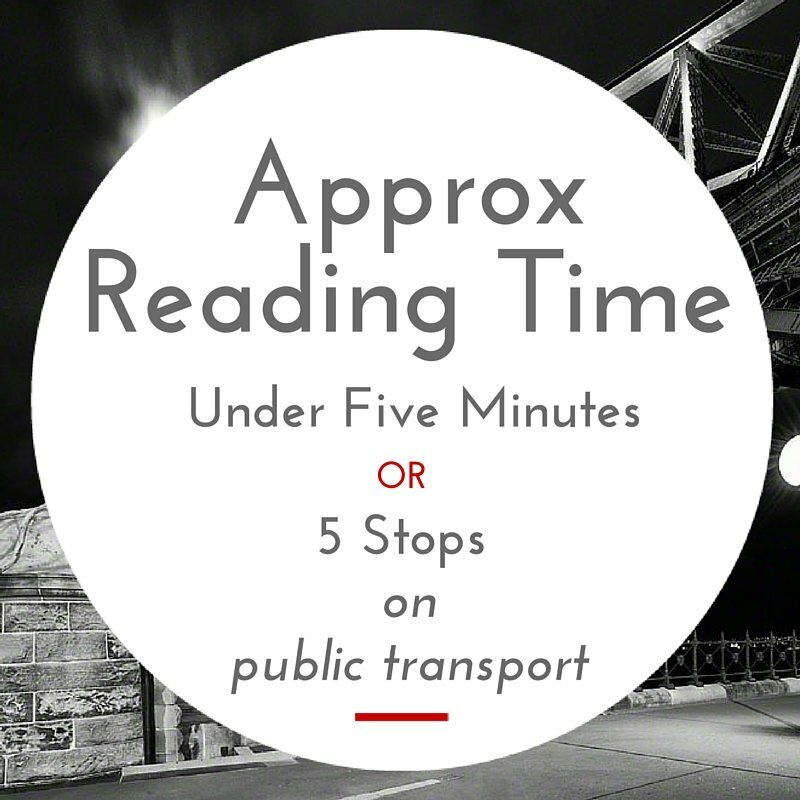 The work of English poets John Keats, Percy Bysshe Shelley and Lord Byron is among the finest in the English language. This article attempts to shed some light on their particular expression of Romanticism. 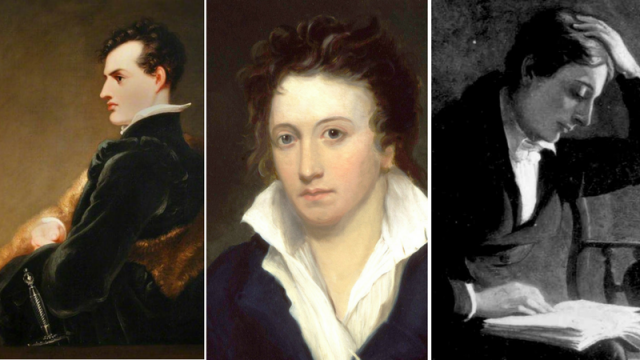 There’s a kind of aura surrounding these poets because they died young and far from home – in 1821 Keats succumbed to tuberculosis at the age of 25 in Rome; Shelley drowned in 1822 in Lerici, Italy, aged 29; Byron, aged 36, died of a fever in Missolonghi, Greece in 1824. Their early deaths give them eternal youth and beauty, and perhaps truth, themes addressed in Romantic poetry. Keats’s Ode on a Grecian Urn is the poet’s emotional response as he gazes upon a piece of ancient pottery and imagines the lives of the figures painted on it. Grecian urns usually contain plenty of pictorial detail – battle scenes, heroic deeds, mythological scenes – and the urn, the “Sylvan historian” that Keats is looking at is well populated. His imagination runs wild. In the second stanza a young man and woman sit under a tree; the man is playing a pipe. They’re caught in a particular moment that will never change. The unheard melody transcends real music, the young couple will never kiss but they’ll always be beautiful, they’ll always be together, it will always be Springtime. The good thing about this, the poet says, is that they’ll never tire of one another as they age. They’ll never have “a heart high-sorrowful and cloy’d”. In the next image a heifer, adorned with garlands, is being led somewhere; Keats supposes it is to be sacrificed to the gods. He reflects on the fact that those in the procession will never return to their homes, the streets of their town “for evermore will silent be”. The happiness of the moment is thus tempered by the knowledge that their lives will remain unlived, unfulfilled. Ode on a Grecian Urn extols the power and eternity of art. Our own lives, in contrast, constantly change as we age and ultimately die, and the poet tells us we need to have beauty in our lives, beauty and truth give us happiness. This is an outstanding example of English Romantic poetry – an individual and emotional response to the painted figures, a paean to nature, a truth born from experience. Space doesn’t allow a detailed look at George Gordon, Lord Byron, but the classic “Byronic hero”, as outlined in his long autobiographical poem, Childe Harold’s Pilgrimage (1812-1818), is an iconic Romantic motif: disillusioned, defiant, brooding, itinerant (think Heathcliff from Wuthering Heights), but also sensitive, idealistic, looking for meaning in foreign countries. This was Byron himself. Intelligent, privileged, handsome, a believer in sexual and personal freedoms, he died while helping Greece gain its independence from the Ottoman Empire. Shelley was also a brooder, an idealist, a man who defied society’s conventions – as did his wife Mary. His poetry ranges from personal to political to social. He railed against war, religion, the monarchy, stating that poets “are the unacknowledged legislators of the world”, that they “measure the circumference and sound the depths of human nature with a comprehensive and all-penetrating spirit”. He believed in the absolute authority of poetry. “Hail to thee, blithe Spirit” opens one of his famous poems, To a Skylark (1820). Not a mere bird, it sings in “profuse strains of unpremeditated art”, evoking “a flood of rapture so divine”. Shelley feels an almost transcendental affinity with the skylark, which represents nature in its joyful mystical entirety. Another powerful work is Ozymandias (1818). The narrator remarks that the expression on the face of a ruined statue shows how well the sculptor conveyed the personality of the person commemorated. But the real message is that even the most formidable among us dies. Ozymandias proudly stated, “Look on my Works, ye Mighty, and despair!”, yet centuries later, “the lone and level sands” have reclaimed his once-grand empire and he is forgotten. Shelley is commenting on the pride of governments and society at large. And all of this captured in just one sonnet.